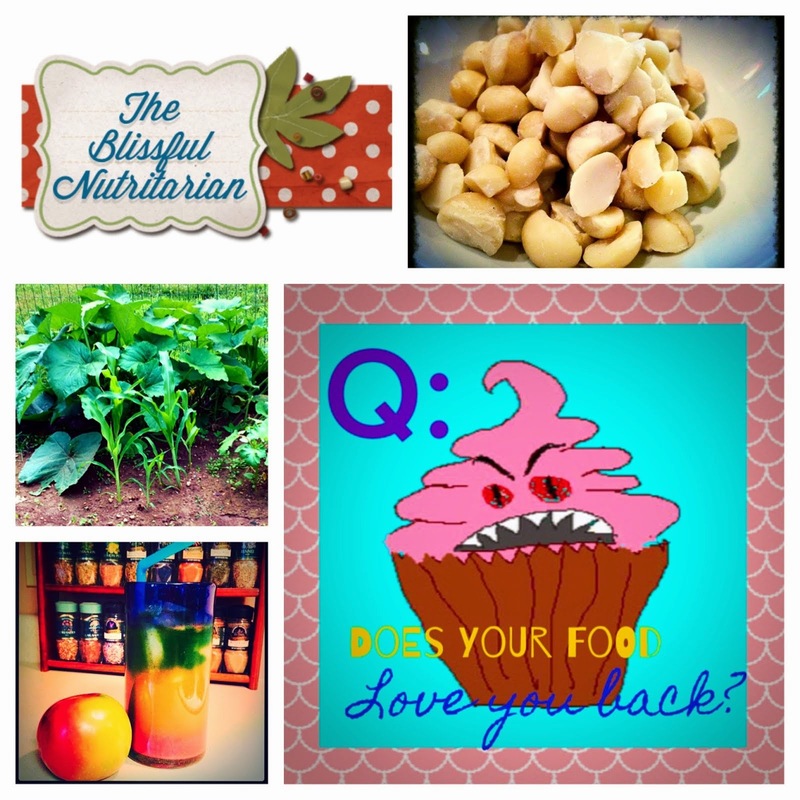 The Blissful Nutritarian: Children as Nutritarians? I found your blog through the member centre at drfuhrman.com, and I have to say you are an inspiration. I'm 18 and have been struggling to stuck to the eat to live plan for about two years... I've been successful at losing weight a couple times, but havnt managed to keep it off. As a dedicated vegan, I have thought about how I will raise my kids when the time comes. I want them to be healthy, but not seen as "freaks" or "poor" kids whose parents don't let them eat good food. Thank you for this post, I will be a regular follower from now on! Thank you Kacy ;) Anon, I am so glad you found me then! I can certainly relate, and though my blog is a bit slow due to my own laziness hehe, I want to help all I can! I totally understand about the "poor deprived kid" syndrome, but keep reminding myself of how many parents I have witnessed burying their kids due to heart disease later in life (not outliving parents) and just remind myself that this is a matter of life and death. Whe you look at it in that serious light, the opinions of others seem rather unimportant and irrelevant. Welcome to the blog, and keep in touch! What's your name? hehe I'd love to recognize you on the forums at Dr.F! Wonderful article with really great advise. But you are also lucky with a child that isn't a "difficult" eater. I have a 3.5 and a 1.5 year old boys. My 3 y/o is an extremely difficult eater. He will not even eat a slice of homemade pizza (cheeseless since we're milk/soy/egg/nut free household due to allergies). He will not try anything other than his chicken nuggets and pasta. He eats this every single day. I get sick looking at them. 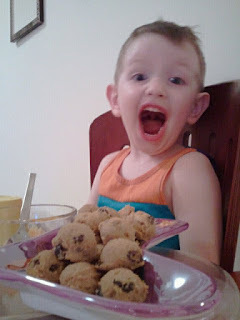 I always offer other foods and I have learned to make amazing dishes without milk/soy/eggs/nuts but he has no interest. My 1.5 year old thinks my food is the best and will eat anything and everything. He eats veggies and fruit without a problem. 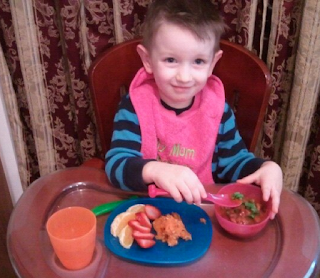 My 3 y/o never liked to eat fruit / veggies, even when he was 1 years old. Made me realize that there are different types of children. But this article is making me want to work even harder on how he eats. I was starting to give up a little.